Chartered Arbitrator and Fellow of the Chartered Institute of Arbitrators and former Chairman of the Professional Development committee of its East Asian branch headquartered in Hong Kong. Fellow of the Hong Kong Institute of Arbitrators. Education: Dartmouth College, BA; Stanford Law School, JD; Admitted to practice: Hong Kong (Solicitor), and State of California (Attorney-at-Law). Arbitration and ADR-related Experience – Former member of the Faculty of the School of Law of the City University of Hong Kong, Sandborg directed the Master’s degree programme in Arbitration and Dispute Resolution, and taught advanced dispute resolution, negotiation, mediation, international arbitration, arbitration law and practice, and other ADR subjects. 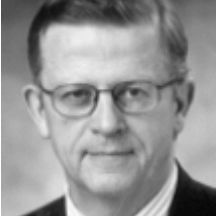 Mr. Sandborg has over 30 years experience in domestic and international arbitration, as both advocate and arbitrator, and is on the arbitration panels of CIETAC (China), SIAC (Singapore), KCAB (Korea), Kuala Lumpur Regional Arbitration Centre (Malaysia), WIPO (World Intellectual Property Organization) (Geneva), The Arbitration Association of the Republic of China (Taiwan), ACICA (Australian Centre for International Commercial Arbitration), BCICAC (British Columbia International Commercial Arbitration Center), CPR (New York) Panel of Distinguished Neutrals, and a number of other international arbitral panels. He has served as both advocate and arbitrator in ICC arbitration proceedings.